Does Cancer Cause Blood Clots? Cancer patients are at a higher risk than the general population of developing serious blood clots, including deep vein thrombosis (DVT) in the legs or pulmonary emboli in the lungs, which can be fatal. 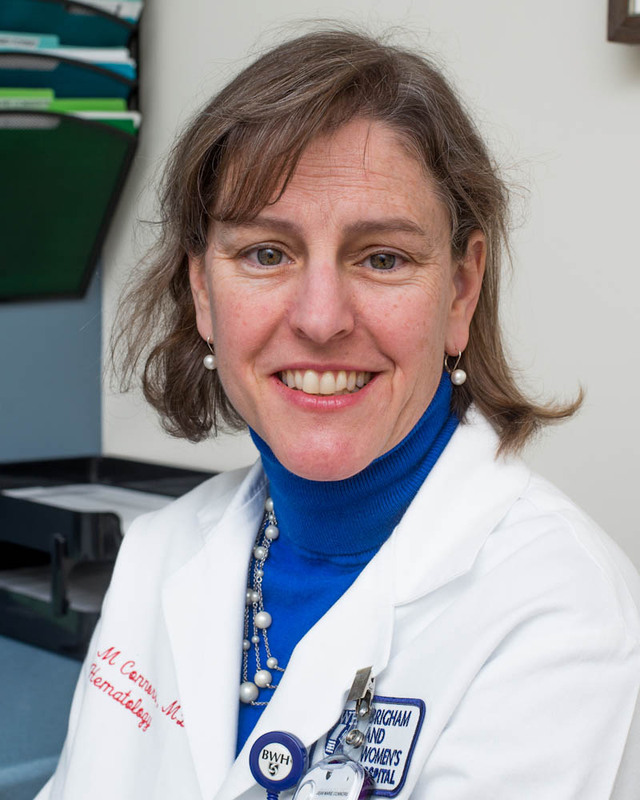 “Of all the blood clots that are detected, 20 percent of them are detected in people who have cancer,” says Jean Connors, MD, medical director of Anticoagulation Management Services at Brigham and Women’s Hospital and Dana-Farber Cancer Institute. Symptoms for DVT include cramping and pain in the legs, similar to that of a Charlie horse, or unexplained swelling. Those with pulmonary emboli may experience difficulty breathing, back or chest pain, or coughing. Individuals over the age of 60 are at the highest risk of developing blood clots. If you are experiencing any of these symptoms, call your doctor for an evaluation. Treatment for cancer or blood disorders can also affect the balance of pro- and anti-clotting factors, and increased bed rest during treatment may enhance a patient’s risk of clotting. To decrease your risk of developing blood clots, avoid staying seated for long periods of time, particularly during long car or airplane travel. Change position and take short walks when possible to keep your blood flowing. Tell your oncologist or surgeon if you have had blood clots in the past, and let them know if you have any close relatives (parents or siblings) who have a history of blood clots, particularly before the age of 50. All patients with blood clots are treated with a full dose of anti-coagulation therapy, but, according to Connors, the length of treatment may increase significantly for those who also have cancer. Those with pancreatic, lung cancer, multiple myeloma, or hematologic malignancies are more likely to develop blood clots than other cancer patients due to cancer-specific factors, including their treatment regimens. These patients often receive preventative anti-coagulation therapy to decrease the risk of clots. While cancer patients are more at risk for developing clots, people who develop blood clots are also sometimes diagnosed with cancer. According to Connors, 10 percent of people diagnosed with DVT who do not have a known cancer will be diagnosed with cancer as part of the clot evaluation or in the next year to two years. .If you are diagnosed with a blood clot, be sure to complete all age-appropriate cancer screenings, including mammograms, Pap smears, and colonoscopies, among others, to evaluate your cancer risk. Can exposure to asbestos cause DVT?